Where to Buy Quality Aniracetam? Aniracetam is one of the three most popular and powerful racetams — the other two being phenylpiracetam and oxiracetam. Because these drugs are not FDA-approved, neither are they nutritional supplements, it is unlikely that you’d find them in local stores. But there are plenty of online vendors that sell these stuff. Almost all aniracetam (and other nootropic drugs) on the market comes from Chinese manufacturers. 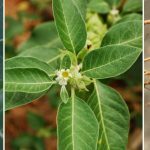 Whether you buy it from a vendor located in the USA, Canada, UK, Australia or any other country, they all source the raw substance from China. The good thing about that is the low price of the drug compared to what it would be had it been manufactured in the USA or Europe, for example. On the downside, the quality of anything made in China is always questionable, and more so when it comes to food and drugs. That’s why it is a common practice of nootropics vendors to perform local lab testing on each batch of raw materials they import from Chinese manufacturers. Lab analysis can confirm the identity of the substance, its purity, and detect any toxic contaminants or heavy metals in the sample (there are various tests available). 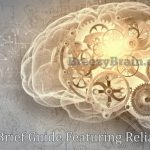 A reliable vendor of aniracetam should test their product in a third-party lab and provide a Certificate of Analysis for consumers to examine. And that’s something you should keep in mind when shopping for nootropics in general, and racetams in particular. 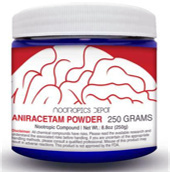 The following are a couple of the best sellers of aniracetam and other nootropics in powder and capsule form. I recommend these online stores for their distinguished quality control and excellent customer service. 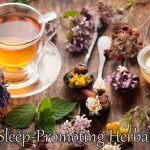 Pure Nootropics is a small US-based business that makes and sells numerous nootropic supplements including racetams, herbal and chemical supplements, and medicinal mushrooms. 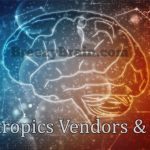 This vendor does third-party lab testing (in the USA) and you can view the lab results on their website. Customer service is quick and orders are dispatched promptly. 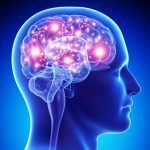 Nootropics Depot is one of the most reputable online vendors for nootropics and other health supplements. 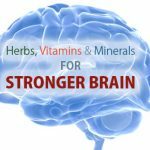 There is almost no nootropic out there that this vendor doesn’t have, making it a great one-stop shop for nootropics, especially when buying multiple products as you can take advantage of their free shipping offer. They provide first-rate customer service and most of their customers only had positive things to say about their products and service. Money-Back Guarantee: Only at their discretion. Aniracetam is a synthetic chemical compound (1-p-anisoyl-2-prrolidinone) that belongs to the racetams family of drugs. It is a fat-soluble derivative of piracetam that was first synthesized in Switzerland by a pharmaceutical company called Hoffmann-La Roche (Roche). 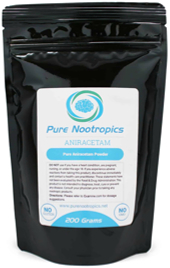 Aniracetam is a popular nootropic agent and stimulant, which – based on anecdotal evidence – is more powerful than piracetam and other racetam analogues. Aniracetam is an ingredient found in a variety of prescription medications in some European countries, Japan and China. It is not approved by the FDA, and it is an unscheduled and unregulated drug. In most countries, aniracetam is unscheduled, which means although not approved for sale as a treatment it can still be legally purchased over the counter. So it is legal to buy aniracetam in the USA (and generally in other countries) without a prescription. In the UK, aniracetam has been recently made illegal to produce or supply as per the Psychoactive Substances Act (2016), however, it is still generally legal to buy this drug for personal use. 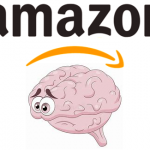 There are some online vendors that ship aniracetam to the UK. Based on limited clinical trials, aniracetam has been shown to act as a positive modulator of AMPA receptors, including glutamate receptors. 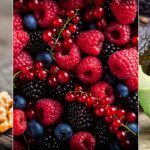 Glutamate is one of the most important neurotransmitters in the body, and the main excitatory neurotransmitter in the brain. 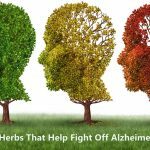 It also has an inhibitory role as it is a precursor for GABA (an inhibitory neurotransmitter). In animal studies, aniracetam has been found to increase the levels of acetylcholine in the hippocampus. 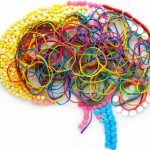 Acetylcholine is another key neurotransmitter that affects several cognitive functions including memory, learning, attention and motivation. 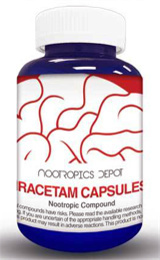 Despite lacking solid scientific evidence, aniracetam is touted as one of the most effective nootropics among the racetams. Most reported effects are subjective and different users may experience different results. 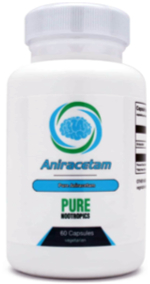 Most users who have taken aniracetam reported some noticeable benefits including enhancement in cognition, focus and mood. It may also help you relax and calm down. The effective dose of aniracetam varies from one individual to another, and it usually ranges from 500 mg up to 1500 mg daily. The standard dose is 750 mg taken once or twice a day. You should take it with food since aniracetam is fat-soluble. You may have to experience with different dosages to find the one that works best for you, but you should not take more than 1500 mg per day. Most vendors offer aniracetam in capsule and powder form. Capsules typically contain a 750 mg dose and can save you a little hassle. The powder may save you some money but it has an unpleasant bitter taste, so you may prefer the tasteless capsules instead. Aniracetam is generally safe and does not have any significant side effects if taken within normal dosages. Some users complained about headaches, anxiety, agitation, and other side effects. The risk of experiencing adverse effects gets higher with higher doses. It is recommended to take a choline source, such as alpha-GPC or CDP-choline, together with aniracetam. Doing so is believed to improve the efficacy of aniracetam and reduce the chance of developing a headache.